"Exquisite" is the word to describe this experience - John V.R. Bull, Philadelphia Inquirer. Perfect for a relaxed country meal, a weekend getaway or a glass of wine by the fire or on our outdoor terrace, it is hard to imagine a more picturesque setting than the Golden Pheasant Inn. The menu offers fresh, seasonal, locally sourced ingredients, The wine list offers over 160 selections by the bottle and 20 by the glass. 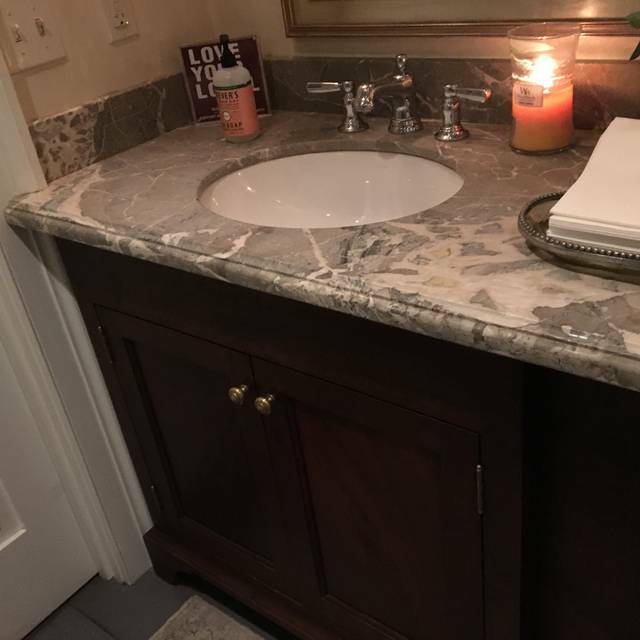 Located between the Delaware River and Canal in a historic fieldstone inn, we are one hour and fifteen minutes from New York City or Philadelphia, and only 20 minutes north of New Hope, PA. The inn has been family owned and operated for over 27 years. 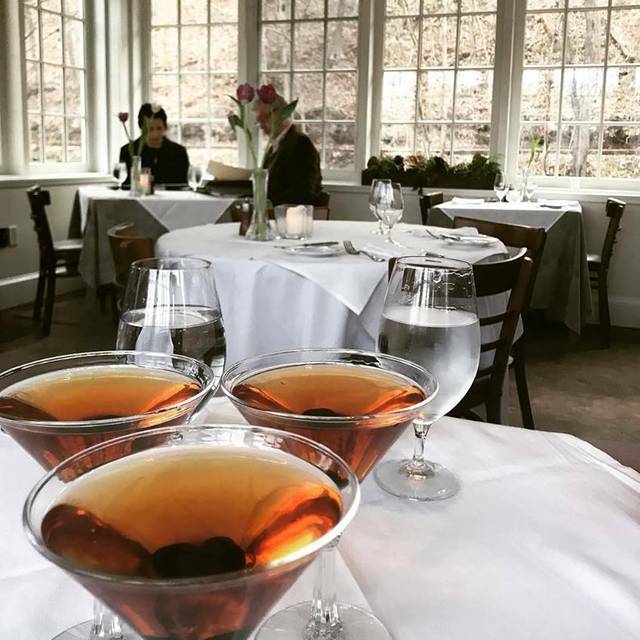 We look forward to welcoming you and sharing the beauty of Bucks County! Let me first say that the owner, bar tenders and wait staff were wonderful. They made it a very pleasant evening. Secondly, my wife and I are well traveled foodies and have high standards. After reading a few other reviews we tempered our expectations but to no avail. We shared the asparagus salad (very good) and the escargot (mediocre at best). We both had the duck as an entrée, which would have been fairly good if it were not swimming in a very sweet, red sauce. The duck was accompanied by wild rice, which alone tasted off and somewhat acrid, green beans, tough and over-cooked, and sliced water chestnut that without a doubt came straight out of a can and were awful. To make matters worse, the sweet red sauce covered everything, as if trying to conceal all the off flavors on purpose. We left almost all of our meal on our plates, yet no one questioned why? When you spend well over a hundred dollars on dinner you expect a quality meal, not just wonderful ambiance and good service. Very nice ambiance and great food. Nice for quite date. My husband and I were there with our daughter to celebrate her birthday. The Inn is lovely to look at, in a quiet and very pretty part of town. The food is excellent and the service is beyond compare. The prices are a little bit high but you are getting top quality food and service, so it is well worth it for special occasions. This is our 3rd visit and certainly not our last visit. We love the Golden Pheasant Inn!! Thanks for a wonderful evening. Oh, and my husband said it was the best steak he ever had in his entire life!! We had a wonderful time at the Golden Pheasant. Three of us went and we celebrated our birthdays. Love Sunday brunch at the Golden Pheasant. We all indulged in the decadent French Toast - the only thing left on ALL of our plates were the potatoes. Who serves potatoes with French toast. Carbs with a side of carbs. For the price, especially, a meat choice should be given. Definitely felt like something was missing to balance out the meal. I thought the food was eclectic...nice flavors. Service was not as good. We waited for about 10 min to be seated when it wasn't crowded. The service when we were at the table, was marginal. And lastly, I got an email from Open Table that we were no shows, even though we checked in and someone came to our table to confirm who we were. And lastly, for a place with that ambience, there were a few tables with extremely loud guests. with rather inappropriate conversations. Not what I would have expected for such a place. another outstanding dinner for a special celebratory evening. oysters were great as usual and the lamb shank was perfectly prepared. a quiet evening spent along the canal on a sunny Sunday; looking forward to another fine dining experience in the near future. My wife and I were celebrating our 34th wedding anniversary, have eaten at the Golden Pheasant several times and couldn’t think of a nicer place to share this occasion. We arrived early and enjoyed a cocktail at the bar and were not rushed to our table. We were seated at a nice table in a room with a large burning log fire, setting the atmosphere and creating a warming ambience. I had mentioned our anniversary when I booked online and sitting on our table was a single long stem red rose for my wife. The food was exceptional, the service outstanding and everything was brought out at the perfect intervals. To round out the occasion, my wife’s dessert was served with a special ‘Happy Anniversary’ message. This was one of the best evenings we have had together. Thank you to all at the Golden Pheasant. We were there for Sunday brunch and it was terrific! My husband and I had a lovely meal at the Golden Pheasant Inn. The service was absolutely top notch and all of the food was delicious. I started with the onion soup which was full of melted cheese and bread and my husband had one of the seasonal specials which was a steak and ale chowder. The roasted duck and chicken breast were cooked perfectly and made for a special meal out. The fireplace was beautiful on this winter night. We will certainly be back! The staff were wonderful. They knew this was a special occasion and they went above and beyond to make it special. The food was excellent. I had steak and my wife had seafood and everything was prepared perfectly with an excellent presentation. This is my fourth time eating there and it’s been superb every time. A perfect place for any occasion. Most all weekends we go to dinner to a restaurant that is at least rated a 4 or higher with something usually a bit off. Which lends itself to understanding why their not a “5”. The Golden Pheasant is truly a five. A lovely restaurant with great atmosphere, food and excellent service. 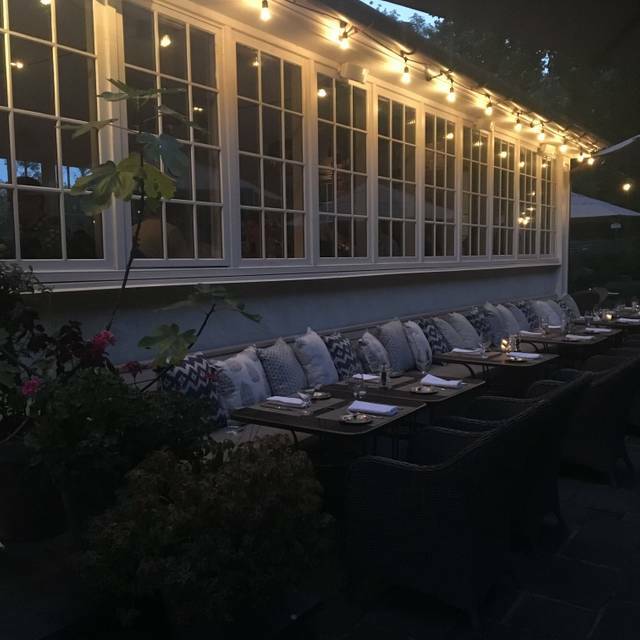 For couples or a small group it’s a cozy up scale but casual dinner experience with a great country Inn like atmosphere you look for when dining in the area. Excellent food and an attentive and knowledgeable staff. Worth the trip, the best in Bucks County! Everything was wonderful, except when it came to the desert. It’s not such a big deal, but paid for a full portion of chocolate cake and what came out was literally only four forkfuls in total.They must have run out of chocolate cake so they layered strawberries top of the cake to make it appear size. A disappointing end to an otherwise lovely meal. Everything about the meal was five stars. The food was superb from appetizers to dessert. The server was excellent. One of the best meals you can have anywhere in the area. Wonderful experience, great atmosphere,food ,service and company. Will revisit soon. My wife and I are in the Golden Pheasant Inn approximately once a month or so. It is consistnetly outstanding. One of our favorite places. 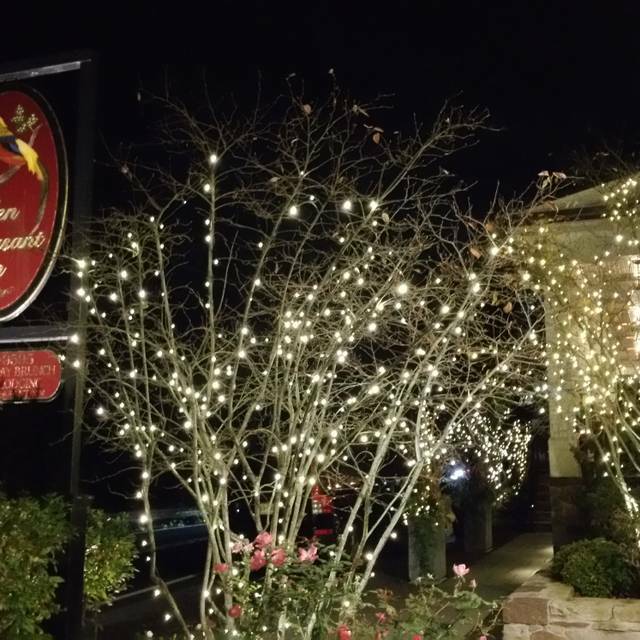 Beautifully decorated, delicious food, and great service! 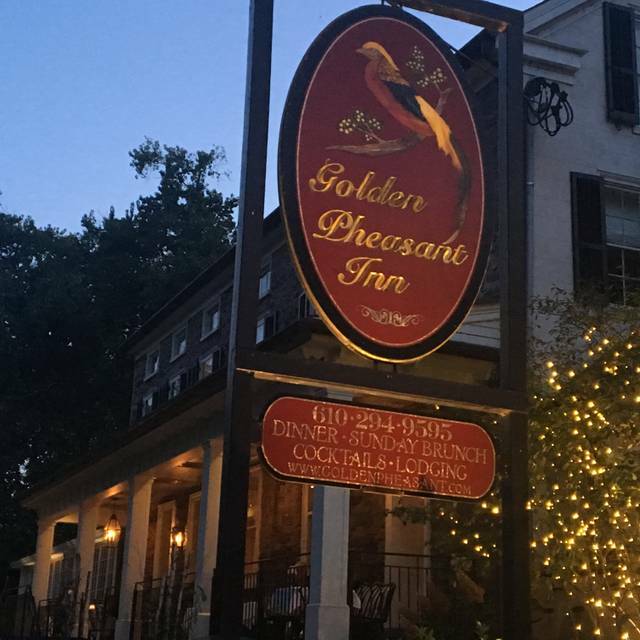 It has been a few years since we have eaten at the Golden Pheasant primarily because the menu is limited and doesn’t vary much from season to season or year to year. My husband and I decided to give it another chance. The ambiance is very nice, especially when the fireplace is lit. For an appetizer, I ordered a butterhead lettuce salad, but was disappointed as there wasn’t much lettuce and it was very overdressed. My husband had the escargot which was a good choice. I was really looking forward to the halibut entree (the reason we decided to come) and it was cooked nicely with a tasty lobster sauce. The carrots and sautéed mushrooms were a nice accompaniment however, sweet potato purée did not compliment the dish. My husband enjoyed the sweet potato gnocchi but felt that they were covered in too much pesto. Overall, the meal was good, but often it feels like the chef tries to do too much with each plate instead of letting the simple flavors of the main ingredient shine through. Great night. Food was great, service too. Our usual place to go for Valentines Day. We always enjoy it. Yulonda helped make our Valentine dinner a great memorable occasion! Great place. We really enjoyed the food and the beautiful views. The brunch was amazing and a great value. The facility was impeccable. The views breathtaking. The service exceptional. And the food was delicious. Beautiful yet cozy setting. The crab cake first course was one of the best I have ever had. Portions more than ample. Our server, Yolanda was terrific. Our first time there and certainly will not be our last. Fantastic find off the beaten path! Brunch was delicious- the gran marnier French toast is a must! We ate in the bar with options for the dinner or bar menus. We’ve loved this place ever since it was first opened over 30 years ago. 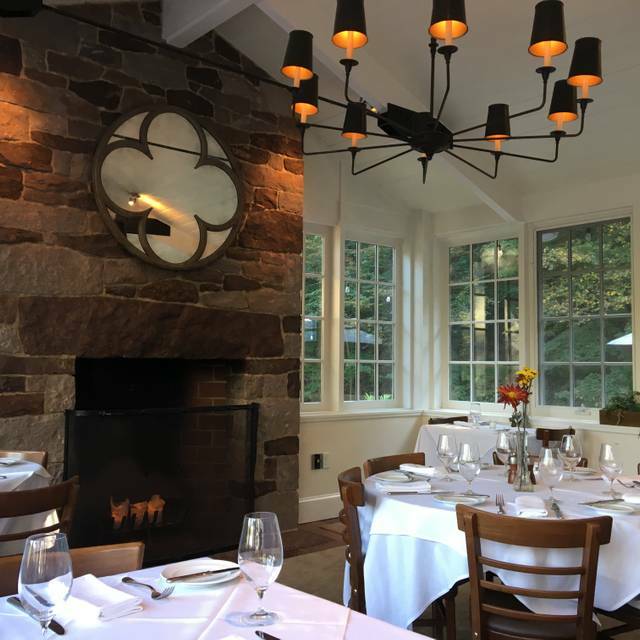 The renovations are beautiful and the restaurant retains its Buck County charm! This place has become my new favorite. Nothing like enjoying delicious food next to a crackling fire. Beautiful surroundings... amazing food- just a wonderful experience. We will be back! Wonderful atmosphere and great food for a special occasion. If you want to take someone special out for a wonderful meal, this is the place. Lovely experience. Was seated by the fire. Food was excellent. Have been here for Sunday brunch along the canal, with other couples for Saturday dinner & with family. It is a local gem & worth the drive. Wait staff is very attentive. Ambiance is wonderful whether you are by the fire on a cold night or outside along the canal on a warm day. Cocktails are interesting & the food is excellent! Food was cooked to perfection and creatively presented. The French onion soup was outstanding!